In a bid to increase the CR-V’s appeal, Honda introduces the new CR-V Cruise Edition. 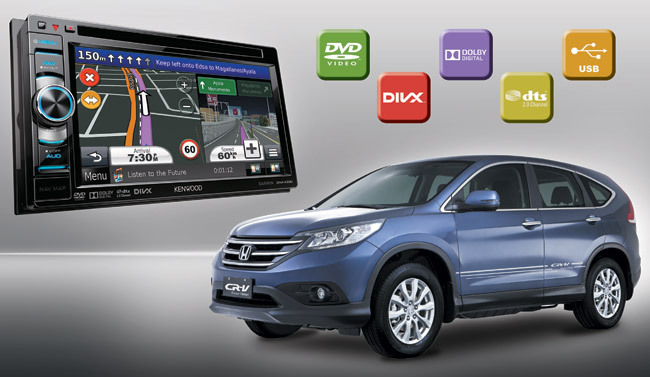 Available until August 31, 2014, the CR-V Cruiser Edition introduces a new Kenwood entertainment system. The Kenwood entertainment system has a built-in DVD player and video playback. To aid you in navigating the Philippines, the Kenwood system also has a built-in Garmin navigation system. The Cruiser Edition is available in two variants of the CR-V. The 2.0 S and 2.4 SX. The Cruiser Edition adds P40,000 to the CR-V’s price tag, with the 2.0 S costing P1,430,000 and the 2.4 SX costing P1,565,000.